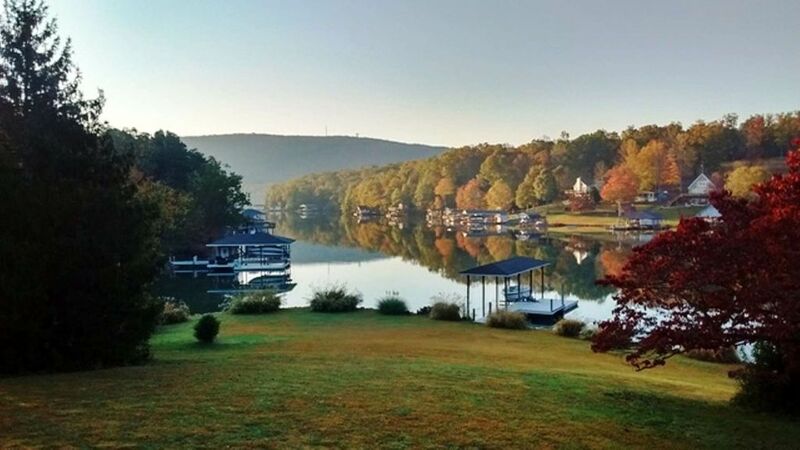 Smith Mountain Lake vacation property. This waterfront property has one of the best lake views on the lake. Located in a small cove, this cozy two bedroom cottage has a large deck and an enclosed porch, both with a view of the lake. Maximum capacity of the house is four people. The property offers a boat dock that can accommodate up to a 20 foot boat and a boat ramp right next to the property to launch your boat. Complete with boat docks and access to the water for swimming. Several payment options available using credit card or check. Five minutes beyond the R1 marker (SML dam) by water. Fifteen minute drive from the Smith Mountain State Park by land. 10 by 30 foot deck attached the house. Had a great stay. This place is unbelievably clean and organized. Thanks George . Enjoyed our stay at the cabin despite the rain. Cabin was clean. View of the lake was beautiful. Overall experience was good. Cabin is a vintage gem. Owner responded quickly to our questions. We recommend a stay at the cabin. My niece and I were looking for a quiet get away for the weekend. George, the owner, responded immediately to any questions we had. Great use of 800 sq ft with nice deck and dock to enjoy the outdoors. The pictures don't do justice to the view. Thanks for a wonderful, unforgettable stay. Highly recommending it to all my friends. We enjoyed our time, and hope to come back possibly in the fall. Thank you for having a clean house. We went down to SML with another couple to relax and this place was perfect for that. There is nothing fancy about it, but it has everything you need and beautiful outdoor spaces.